New menu items at any food chain make our hearts melt, and when those new items come from Taco Bell, it makes our hearts swoon. Taco Bell has been giving us delicious meals and treats for a while now. Most recently? Those nacho fries that we can't get enough of. While Taco Bell has tried to produce creative and delicious meals, one thing has always been with us: their delicious sauce packets. 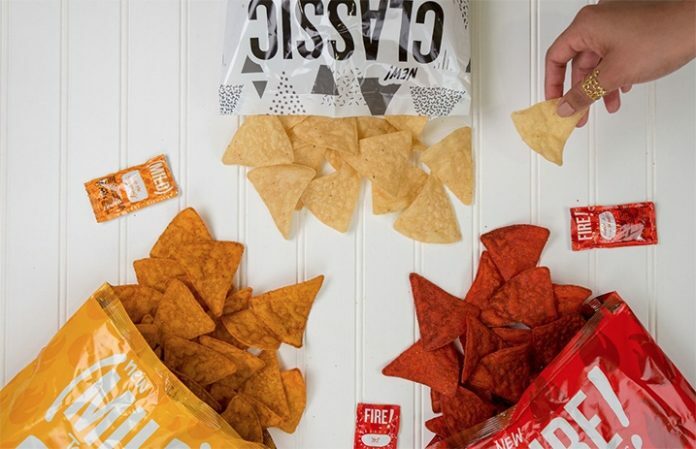 To add to their growing list of new treats, the food chain announced their plans to sell Taco Bell sauce packet tortilla chips, per a report from Bustle. The new chips will be available in three flavors—classic, fire and mild—all of which will be seasoned with Taco Bell's special blend of spices. Bustle also reports that each chip will have their own flavors, and we're slightly freaking out. Yeah, we're seriously excited about trying these chips. The chips will be available at select retailers and grocery stores around the U.S. this summer, and we need to get our hands on them ASAP. There's no word yet as to when these delicious chips will be hitting shelves, but we can't wait to try them. How many more days until summer?